Code Talker Alfred James Peaches passed away on Jan. 16 at the Flagstaff Medical Center, according to a press release from the Navajo Nation President and Vice President’s Office. He was 90. A memorial service will be held at 11 a.m. Jan. 23 at Leupp First Presbyterian Church, with the Ira H. Hayes American Legion Post 84 providing color guard and the Navajo Hopi Honor Riders escorting. Peaches was born on April 28, 1925 in Shonto, Ariz. to the late Adelaide Donald and Henry Peaches, the release states. He was Bitter Water Clan born for White Corn Clan. His maternal grandfather was Water’s Edge and his paternal grandfather was Zuni. Peaches served in the U.S. Marine Corps from 1943 to 1946, attaining the rank of corporal, according to the release. He served again in the Korean War. He is survived by his wife, Jeanette Hillis Peaches, daughters Doris Ross and Terri Peaches, and sons Glenn and Nathaniel Peaches, as well as five grandchildren and one great-grandchild. Two sons, Vernon and Albert, preceded him in death. President Russell Begaye has ordered flags on the Navajo Nation to be flown at half-staff on Jan. 23. 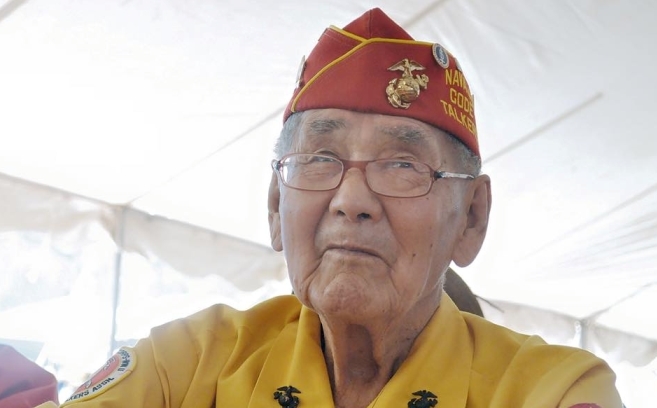 “The Navajo people have lost another warrior that defended freedom and the American way of life during World War II,” Begaye stated in the release. Vice President Jonathan Nez, who hails from Peaches’ home chapter of Shonto, said the legacy of Peaches and the other Code Talkers can be carried on by preserving the Navajo language. Peaches’ daughters issued a statement thanking the “excellent” nurses and staff at the Flagstaff Medical Center for their care of their father while he was there. 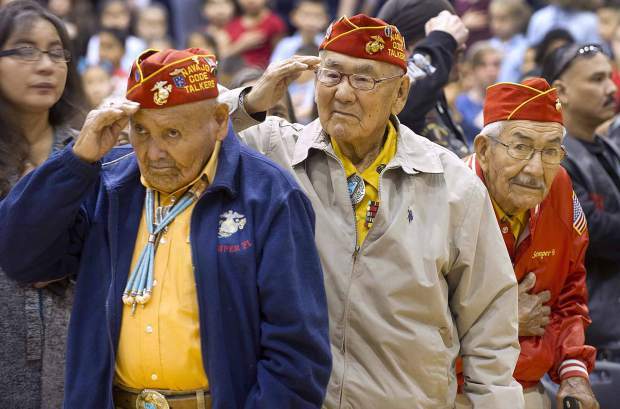 Responses to "The Legendary Navajo Code Talker Alfred James Peaches Passes at Age 90"